Unlock for iPhone 3GS on iOS 4.1, 05.14.02 Baseband is Currently NOT Being Worked On.. In our earth-SHAttering honest efforts in bringing you the latest and greatest news from the world of jailbreaks and unlocks, we often publish posts that arise from simple tweets from some very important people. This is another one of those posts and it’s coming from none other than the Chronic Dev Team (the guys behind the upcoming GreenPois0n jailbreaking tool). Folks eagerly waiting for the iOS 4.1 jailbreak + unlock for iPhone 4 / iPod touch 4G should know that both iPhone, and Chronic Dev Teams are hard at work on the SHAtter-exploit based Greenpois0n jailbreak. The tool will be released soon. But there is a bit of bad news: the carrier-unlock isn’t being worked on right now. To those asking about unlock: At this time, only the jailbreak is being worked on, as it requires the team’s full attention. 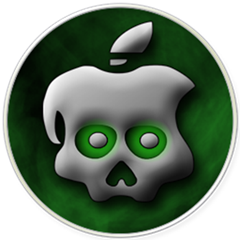 Developing the GreenPois0n tool is taking quite a bit of an effort from the two Dev Teams involved and as a consequence, the unlocking tool for iOS 4.1 will be delayed somewhat. For people who were waiting for the unlock on their iPhone 4, please be patient! Good things come to those who wait !